Over the past 2 weeks I have been trying everything I can think of to add new members to my sites. With some success and some impressive failing too. Doing a little A B split testing is going well. Some splash pages just out preform others. But its good to know which ones are doing good better best. Much like the NFL ( that’s National football league) Im in my own play offs All the splash pages are getting tested with the same 5000 credits – Same Site – Same days. This will give me a concept of best to worst and which 2 to replace. Im writing ad copy for my first 3 Squeeze pages. They worked in the past and not many people are using them now. I will test and retest this process to refine it so that I can have a 2 Squeeze pages and be able to tell members where they are working. Squish IT – I have taken a couple of the Splash pages and am adding a signup form to them. So far results have been promising. I think due in some way to ONE less click to take action. I have seen countless study’s that with every click to join a site the more likely you are too loose that signup. Makes sense to me. The typical splash page is clicked it goes The Home page of the site. Then to A Join page then you fill in your info only to Click Join then the confirm process begins. That’s 2 extra steps from the Squish page where the Join form is on the actual splash page eliminating 2 steps and hunting for a join button on a home page. It only stands to reason click through are more often a referral. So whats the point to this blog post? It is time to get serious about your marketing in 2016. Test the effectiveness of your pages. And try everything not just what worked well 5 years ago. Hasta La Vista bad results. PS: Subscribe to my blog and get a cool very limited edition sticker Code. We are going to have a drawling for a 10 dollar amazon gift card. And your entry is being subscribed when the drawling takes place February 29, 2016 good luck and thanks for subscribing. Code sent with confirm email. Surfing 101 the new promo. but while doing this I ask people surfing the event to also join something. To take the next step when you see something that looks interesting that you take the next step. First off Thank you ! We did IT! Internet Traffic is now past 10,000 members and growing. And without real people surfing and supporting and getting results. It would be nothing without you. The IT 10 k still has 5 more days for the referral contest and the Grab it game too. Social Surf Stinks and Does Not Work! Yes ! I hear that all the time. And I’m floored every time I read that in a tweet or a wall post. Come on really!!!! There are traffic exchange Owners that “poo poo‘s” social surfing but are tweeting there blog post ! Wow I love it!!!! Living breathing hypocrite, Your trying to gain Social people to your traffic exchange. LOL wow ! I don’t know if I made this point clear enough. Is social a fad? Sure it is. It’s a long lasting fad I guess. I think Patrick Griffins blog post was good I love the analogy of the Black and white TV seriously!!! Who still owns a working black and white TV? The internet is evolving every hour. And to turn your back on the same social technology your using to try to gain a new member is Priceless. So to all the Hypocrites out there preaching that social surfing Stinks make sure your not connecting with any one on twitter and facebook cause social don’t work. Remember? Think of Social in a new Light. If I didn’t catch someones attention for my splash or squeeze page, But they liked me on facebook. I have a second chance at connecting with them. And that is why social works. Oh yeah ! Social Works!!!!!!!!!!!!!!! And that is my traffic exchange 2 cents. If that’s Not enough. I am going to bring a new toy to all the traffic exchanges across the net. Im in the final stages of it coming to Life. No hype! …….. Ok im lying……… I want to hype it only cause its not done. Jon Olson Im answering the call to bring something new to the TE world. No clues to what IT is but should be ready or close to ready for Monday. Back to the basics or back to school? Today’s voice of reason comes from the amazing drive for ourselves to learn. I registered at my local community collage today that’s right 32 years old and on my way back to school. I took the first step I talked about it. The second step was to take action I did by registering. So now the third step is to find classes that meet what I need, I’m looking for graphic design and some CSS but more than that I want to network with people like me and learn from them. don’t get me wrong I’m available in Skype for people who share my interest. In fact I challenge other traffic exchange owners to connect with me. And I want to add that personal element where we can bounce ideas. We all talk about connections. So why collage well I didn’t do it the first time. I love the traffic exchange industry and I want to add more to it and my goal is to bring more powerful people to the business. An I going to be rich and famous from doing this NO probably not ! Am I going to add something and improve upon an existing idea YEP! I want my daughter and brother ( the kids) to be proud of me. I think that’s the single most important factor for me. Social Traffic exchanges are carving a niche in the industry. The idea of a social exchange is not new by any stretch of the imagination in face some social has been around for a while. I not going to kiss anyone’s rear here. I will say some of the larger exchanges have had members connecting in some ways for years. But all of them are missing some elements and features. To make them social people need to connect in many different ways. What is networking ? The cultivation of productive relationships. So this means basically that social networking is a cultivation of communication between productive people. Ok now that we are all on the same page we need to connect with like minded people to grow ideas partnerships and advance ourselves and challenge our own brain Power. We have social profile pages that are not some run of the mill pages. The pages are geared to the member. Members can build a very professional page to promote themselves there list and there much the same way an online business card should work just a lot more interactive. But more than that we bring to you an new powerful way to social surf. Understand my referral link to my recommended programs are there. Its all about me! and if that’s not enough there is a whole searchable brand able surf inside. 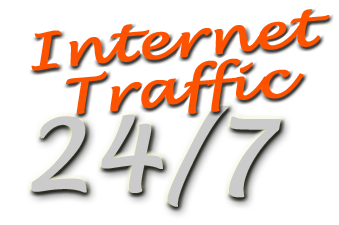 I build my downlines, My social networks, My list, My personal brand, and traffic to the website of my choice.